Zucchini wrapped Spanakopita – gluten-free & flourless! Crispy on the outside with a soft centre, these little pies are a treat anytime! Little pocket pies of soft spinach and feta mixture rolled into crispy zucchini ribbons, this recipe is a gluten-free take on the traditional Greek spanakopita. I have replaced the regular phyllo covering with something completely out-of-the-box! Or so I would love to think :-). 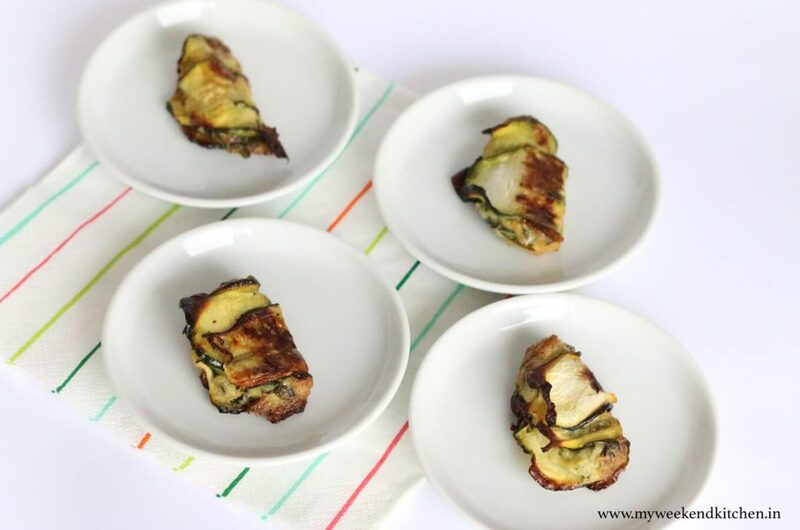 The outer covering is thin zucchini ribbons baked until crisp. These bite sized gluten-free spanakopitas are a perfect finger food for tea-time snacking or as starters. I made these as an experiment alongside regular phyllo spanakopitas one evening for our finger foods Friday gathering. I am not a big fan of using phyllo pastry and use them very occasionally when there is a gathering at home. That is why I was so happy with this little experiment and since then these flourless zucchini wrapped spanakopitas have become ‘the new regular’. In fact, not just spinach and feta, these zucchini pockets can be made with any filling to make healthy and delicious treats. A quick note, I use eggs in the recipe as a binder. They get cooked during the baking process. For a completely vegetarian preparation, I have also made them without eggs and they taste just as great. The filling is a little more crumbly than when using eggs. Preheat oven to 150ºC (~300ºF). Wash the spinach throughly under running water and drain. Finely chop and squeeze out all the water. In a mixing bowl, combine together all the filling ingredients. Cut the zucchini lengthwise into half and then cut thin sheets from the centre. You will get about 4-6 sheets that will be long and broad enough to use as pie covering. Use the remaining zucchini in another preparation. Take a spoonful of the filling, place it on one end of the zucchini strip and roll till the other end. I used a toothpick to secure the ends in place once rolled. Line a baking tray with baking paper and place the little zucchini spanakopitas on top. Lightly brush (or spray) them with olive oil. Bake at 150ºC for about 15-20 mins, until the zucchini starts to turn golden and crisp. Serve hot. They are a perfect size to be popped into the mouth. Enjoy guilt-free the healthy, no-phyllo take on spanakopitas. 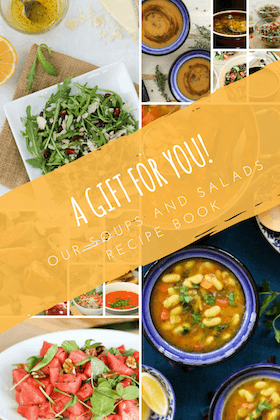 « Vegan Quinoa Salad – Hello Summers!